The Pathfinder Breathable Stockingfoot Waders feature DuPont? Teflon DWR fabric protector and an ultra-fresh antimicrobial treatment as well as a flip out gear caddy on the front. 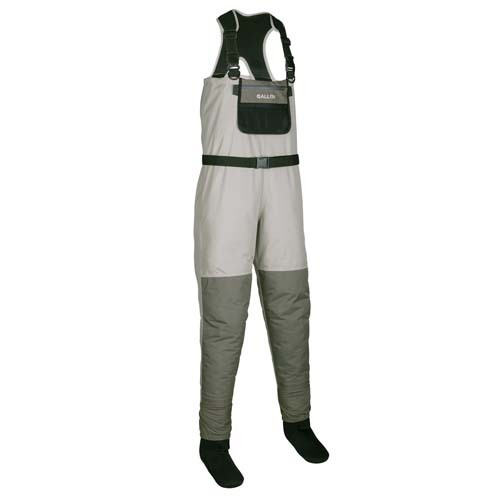 With advanced MPT Micro Pore Technology, these waders have double layer articulated knees, padded air mesh shoulder straps, built in gravel guards, high density neoprene double taped booties, multiple D-rings on the front and the back. Stretch waist belt.